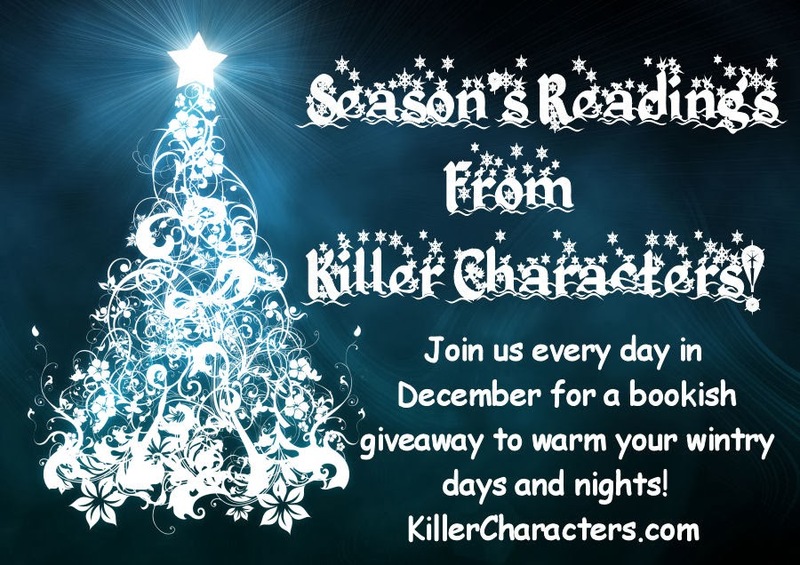 Killer Characters: Announcing... Season's Readings! Even though it's early to some folk, I start thinking about Christmas oh... about January 3rd. Not sure why, but Christmas makes me happy all the time. I love the gatherings and the lights and the gifts and most of all, I love my town. Queensville is unlike any other place on earth at Christmas... shortly after Thanksgiving we have Dickens Days, a month of festivities which means a carol sing at church, shops along Main Street open in the evening, special funky gifties available at Jewel's Junk, the Knit Knack Shack (I don't knit, so I don't go there, but I do love the beautiful colors of yarn in the window of the converted cottage) and this year it will be Cynthia's new shop, The Cottage Shop, full of everything girlie and beautiful. I love shabby chic, so I'll help her make it gorgeous. And of course the Queensville Emporium, the real old Grande Dame of Main Street, with the august presence of the Klausner's in Victorian Christmas garb, manning a store that, apart from the freezers along the one wall, could be right out of early in the twentieth century. I love working there in the festive season... I have my own Victorian outfit, of course, and with my hair up am the very picture of a Victorian shopgirl! I love it all, but it is especially a time to reach out to others, folks who don't have it so good, the lonely, the sad. It breaks my heart when I see the sermon of the week of December first and it is 'When Christmas Hurts'. I try my best to keep those folks in mind and give as much as I can of my time. For me, what gets me through tough times is books... glorious books, a free vacation in the mind! What do you use to get you through tough times, at the holidays or any time of the year? Movies? Music? It is often the arts, isn't it? Beauty lifts the soul. What Jaymie is trying to say is... books are good! And we at Killer Characters have a treat for all... it's baa-ack! 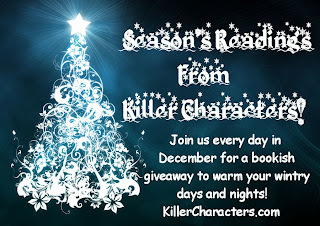 Last year Killer Characters had a wonderful month of giveaways, and we're repeating the giving this year. Every day in December we will be giving away that magical carpet ride to new places, books!!! In my December 21st post, I will be giving away a prize package that will include Freezer I'll Shoot and other goodies! So you will be able to give a wonderful gift to yourself, just by reading and commenting! So join us here for... Season's Readings!! If you want to be the first to hear about Victoria Hamilton release dates and news, just drop a line to victoria at victoriahamiltonmysteries dot com with the subject line 'Subscribe' to be added to the newsletter list! Thanks so much, Sue... good to hear you're enjoying it! It's all fun, isn't it! Thanks everyone for this Christmas treat! 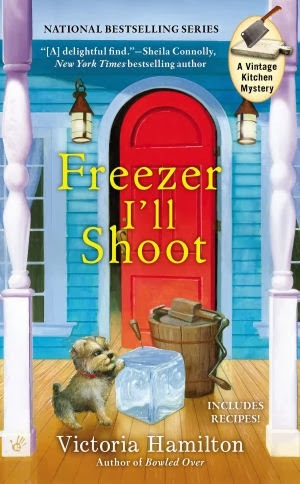 I just finished Freezer I'll Shoot and I loved it. Thanks! I'm looking forward to the next book. This is on my shelf to read :) Thanks so much for sharing, Looking forward to December!! Books have always been my go to. Had an 1.5 hr ea way commute (in good weather) for 9 years and books on CD were the only thing that kept me sane. Looking forward to this, loved the others in this series. These are on my TBR pile, looks good!